All transactions are safe and secure with a reliable history in online purchasing behind each of our associates. 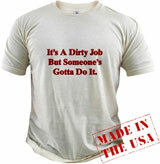 Browse Dirty Jobs t-shirts like the May the Filth be With You tee and the Mike Rowe Dirty Jobs t-shirt. The Discovery Channel's Dirty Jobs TV show is hosted by Mike Rowe, a former opera singer, who is filmed assisting men and women who do messy jobs for a living. Mike's sharp, self-deprecating sense of humor makes him the perfect host, as he almost never makes fun of the workers themselves. 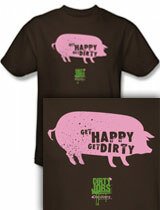 Get ready to get dirty with our gallery of Discovery Channel Mike Rowe Dirty Jobs t-shirts. 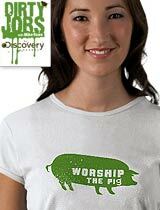 The soiled selection includes the I Love Mike Rowe tee, the Worship the Pig tee, and the logo Dirty Jobs t-shirt. Mike's jobs have included being an ostrich farmer, garbage collector, avian vomitologist, and the too gross for TV road kill taxidermy artist. Recite your favorite Mike Rowe quotes in this "got dirt?" 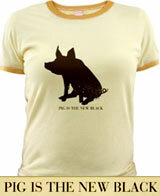 tee that parodies the popular "got milk?" ads. Will Mike's willing attitude and lack of experience be the lethal combination that results in him making "a critical oversight that has led to yet another mouthful of poo." 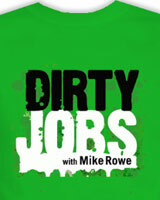 Mike has encountered mouthfuls of poo on various Dirty Jobs episodes. Let's just hope that we can learn from Mr. Rowe should we ourselves come face-to-face with the smelly brown stuff. 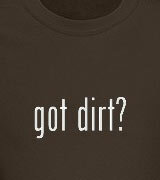 Link to: Got Dirt?